This last while has been crazy silly season - anyone who is involved in making crafts and selling at Christmas knows just how mad it gets. Months of preparation making stock, planning, calculating, designing, all culminate in what is really just a few weeks of actual selling. I deliberately kept any heavy work to a minimum this year as I have been so unwell but still had a lot of work to do organising stock for shops and making sure that I had sufficient products for the few markets I did actually attend. However, I'm all finished with most of the work for Christmas at this stage and I'm sooo happy to be able to relax again and get my house ready! 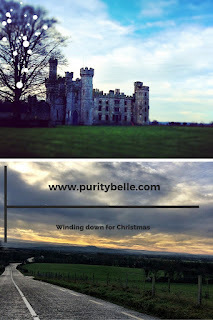 My last market was on Sunday gone by in Duckett's Grove, Carlow. It's always one of my favourites, mostly because I feel that it's one of a few markets where the quality of the craft products is vetted and consistent and the setting is just so beautiful. I love the drive there and approaching from the winding road, looking down on the castle below. It's also a chance to meet old friends like Madeleine from the Tearooms at Duckett's Grove, a gorgeous place to visit - you're guaranteed a warm welcome there as well as some gorgeous coffee and baked goodies. And because I couldn't attend the Summer Fair, I missed a chance to catch up with the lovely Ellen from Spiral Goddess, so it was really great to see her too and to chat with customers new and old. 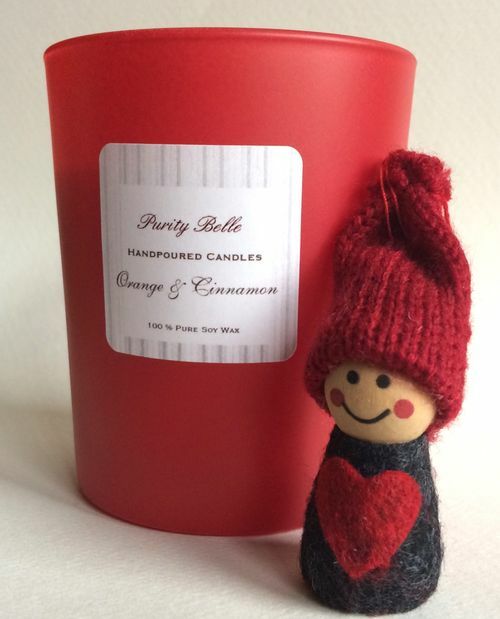 I do, however, have lots of candles available online in the Purity Belle Shop. This year I introduced a new festive red jar and it has been going pretty well so far! Also new for this year is the Christmas Spice fragrance - I really like this one, it reminds me of gingerbread and mulled wine. And of course I still have the old favourites like Spiced Nutmeg and Cranberry Marmalade. And of course my candles are also available in some great shops which have an excellent range of beautiful handcrafted products. As always, I'm advocating spending at least a little money this year in local businesses, it makes such a huge difference if we all try to do this. Hope you're all getting ready to relax for the Christmas Season! It must be crazy busy for you at this time of year but that's great too! I lvoe the look of your candles I must keep an eye out in those stockists next time I'm near them. I love the way markets and craft fairs are so sociable for everyone, the people attend them and the people who sell at them! Those are gorgeous photos looking up to the castle. And I bet you're ready for a rest now, it must be so hectic. Love the new red addition though. Gorgeous photo of the castle and winding road. 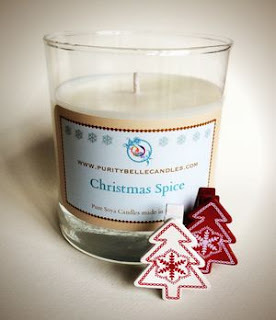 I love candles and these sound great love the idea of the Christmas spice one. I can not even imagine the life of a crafter, all i know is that it drains my friend who does crafts then have to go to several markets to sell. I would like to try the Christmas spice candle and see what its like. 2015 was the Year that..
Home at Christmas, Decorations and Traditions.